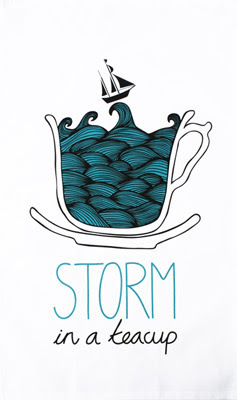 Storm in a Teacup - hoist the mainsail! Hooray! 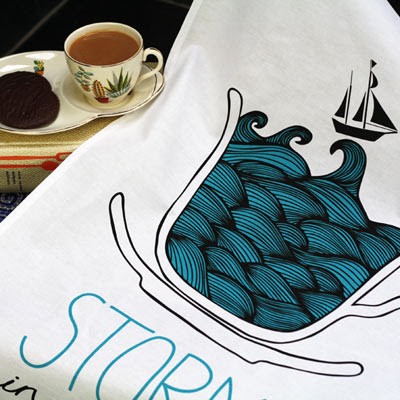 Also 'just in' is another new design to add to our ToDryFor artist-commissioned range; this time it's a tempestuous treat from designer/illustrator HelloWilson! 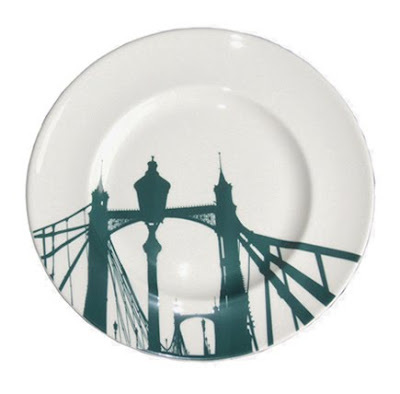 Batten down the hatches, position your compass to tea time, and set sail back to dry land (and dishes)! Sunny Days are here at last! Here in the UK we've recently been enjoying the first few (and probably last) sunny days of the British summer. We're all packing up our picnic baskets, buying strawberries by the bucket-load and heading on down to parks and beaches across the country! 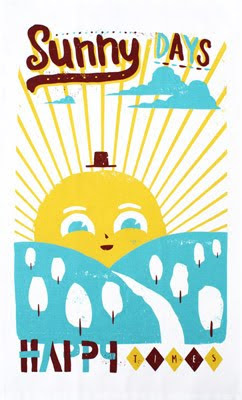 Why not bring the sun (and his hat) into your kitchen with one of the latest tea towels in our ToDryFor range? 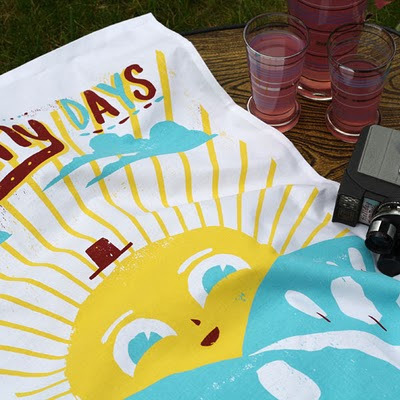 Designed by Ben Javens, an artist whose retro-aesthetic we've been lusting after for some time now, the Sunny Days tea towel will transform dull days into happy times. We've been singing it in the shower ever since we heard it! I'm a designer and I design interiors accessories which I manufacture in the UK. 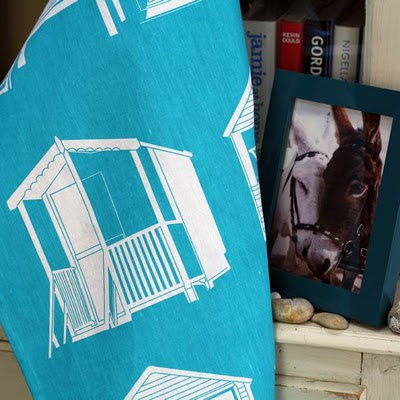 I also have another side to my business designing and making bespoke products, accessories and components for interior designers and architects and their high-end projects. I'm a single mother to a pesky young boy so I work from home so that I can alternate my business with the laundry, cooking, Lego building and school runs! Have you always designed products? If you weren’t a designer, what would you be doing? 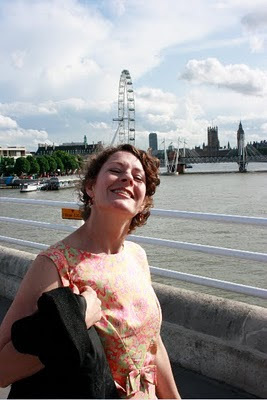 My degree and masters were in Fine Art and Sculpture but I was a mature student. I left school at 14 (expelled I'm afraid!) and have done all sorts of jobs. I'm happiest when I'm doing something creative that involves some problem solving! What’s been your favourite design project and why? That's a hard one! The two British Museum projects I worked on were very engaging because they were both very different. 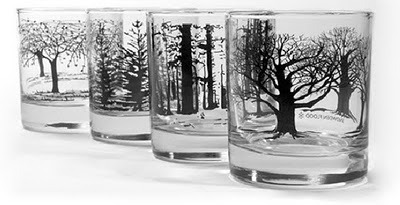 One, plates and mugs with a stylised design of the central roof rotunda and the other was a set of glassware inspired by Tree of Life patterning from their collections. I've also been involved with various design projects for a palace in the Middle East over the past few years and they are always extremely challenging in terms of the scale and the quality issues. I have a couple that I'm working on right now. 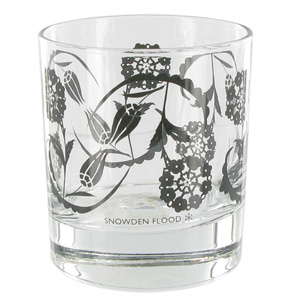 I'm producing an exclusive range for the Tate Modern to celebrate their 10th anniversary. I'm working on a set of products for the gorgeous Chatsworth House in Derbyshire, a range of mugs for Dorchester Hotels, and then for my other business, a load of embroidered velvet crests for the backs of dining chairs for a banqueting hall. I'm trying to produce a new collection also but I sometimes struggle to find the time for that along with everything else! We really like your range of sport-related mugs. Do you have a preferred sport? Thanks! I like them too. Well I hate to watch sport, I like to participate. When I lived in NY I ran lots of races and that evolved into triathlon when I moved back here. Nowadays I don't have enough time for the training because of my son, so I just run and cycle and do a weekly swimming class at crystal palace with a great coach who makes you swim crazy distances doing impossibly difficult strokes like butterfly which I can barely do! A lot of your work depicts iconic architecture. Do you have a favourite building / style of architecture? 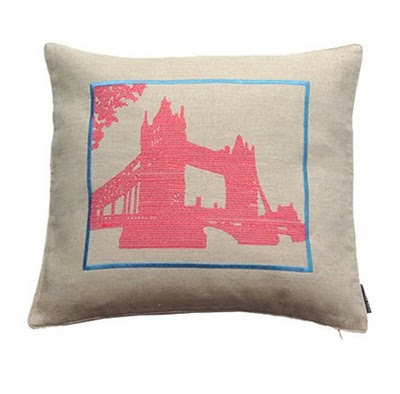 Yes it's true that some of my products depict landmarks. But actually that stems much more from an interest with the history and tradition of heirlooms and souvenirs than from my interest in architecture per se. So my work is really about looking at familiar and sometimes overlooked sights in a way that celebrates them (as opposed to being about my love of urban architecture). But since you've asked here's a little list of some buildings and styles I like: Grand Central station, Brooklyn bridge, little sheds and houses in people’s back yards, ghost towns of the west USA, adobe houses of New Mexico, British Arts & Crafts architecture, Pierre Chareau House of Glass, Chrysler building, this could go on and on! We read that you collect graphic novels – do you have a favourite? What was the last song/piece of music you listened to? Well I listen to 6 music when I'm working but I don't always know what I'm listening to because it's just there in the background. I always listen to Guy Garveys finest hour on 6 music because it's the closest to the broad range of things I like. Last song I listened to was by The National because I'm listening to their new album on Spotify while writing this. Tea and cake vs champagne and nibbles? If you had to choose, which one would you prefer and where? I do the washing up with occasional help from my son (he recently begged me to be allowed to wash up - I should have taped it to replay when he is a teenager!). But for the most part, it's really always me. Luckily I have a nice range of tea-towels to brighten up the job eh? I have my Motorway, Beach Huts and Cable Cars tea-towels in my kitchen on rotation. Pick Me Up, a contemporary graphic art fair hosted by Somerset House, was a bit like a sweet shop for art lovers. Dave and I were both overwhelmed by the amount of talent on display and the feast of colour and creation that greeted us as we entered. We already knew about some of the amazing designers who were exhibiting, including James Joyce (see above), Jez Burrows and Mr Bingo, but it was a delight to discover new up-and-coming names, like Patrick Gildersleeves and Jess Wilson (whose Mighty Ducks illustration was awesome). In addition, we got to gaze in wonder at Rob Ryan's open studio; he'd shifted his entire work space to Somerset House, recreating it in its entirety (right down to setting up his printing press and filling the walls full of previous work and mementos). It's incredible to watch the timelapse video showing how Rob and his team worked their papercut magic during the exhibition.